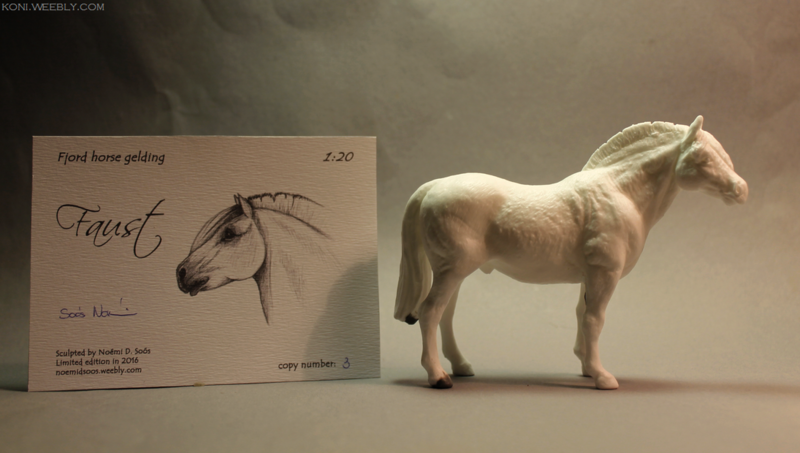 Noémi D. Soós Creations Faust fjord horse resin, painted into a grullo Viatka pony. 1:20. 2017. Part of the below pictures were taken by Aleksander Freda of Dark Pegasus Studios. 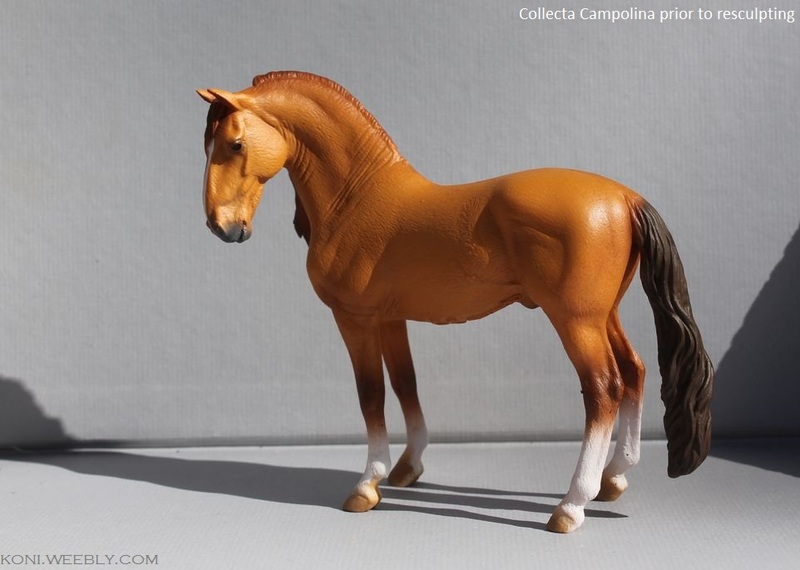 CollectA Campolina resculpted into a semiportrait of the real Lipizzan horse Ignác. 1:22. 2017. 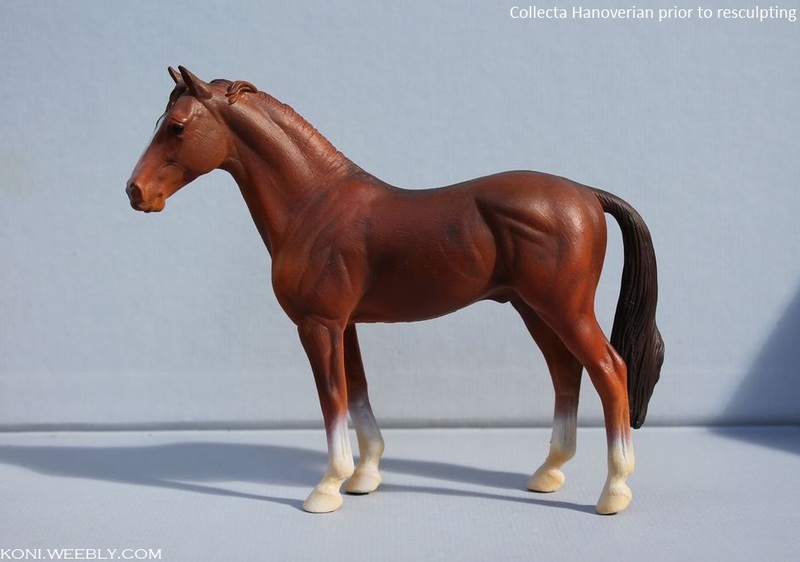 CollectA Hanoverian resculpted into a portrait of the real Nóniusz horse Zarándok. 1:22. 2017. 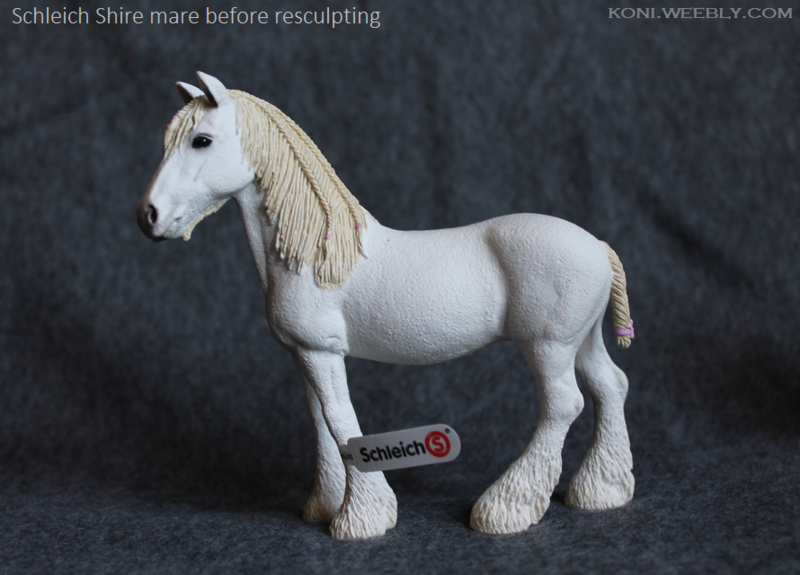 "1-day custom" I made as an experiment from the Schleich Shire mare. The main part of its customization was done within a day (see last 2 photos). The time restriction meant that I measured no proportions and revised no errors in building the basic resculpt, which naturally shows in the end result. 1:22 scale. 2016. 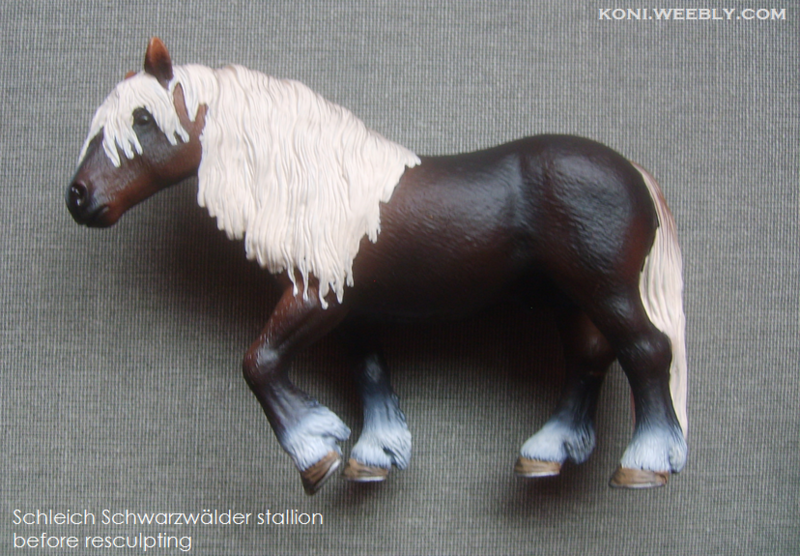 Minimal resculpt on the Schleich Schwarzwälder stallion. This one is old work, really; its resculpting was begun in 2009, and only got finished in 2016. ~1:22.